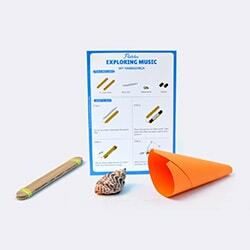 Is your child ready to build his/her own creative orchestra? 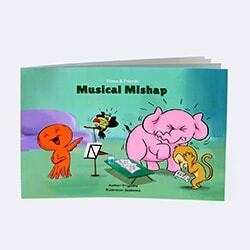 The Little Musician box will strike a chord with every budding instrumentalist and singer! Fine tune your child's ear for music with exciting activities that will introduce them to percussion, string, and wind instruments. We're sure that with this box, your living room will be alive with the sound of music! 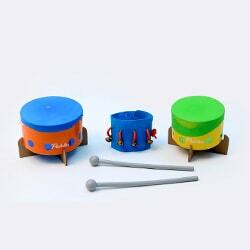 Your all-in-one musician creates and dances to the beats of the drum and ankle tambourine! 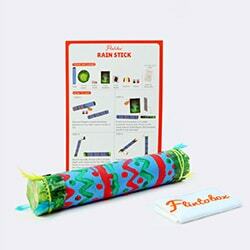 Your child explores the sound of raindrops by creating from scratch this ancient instrument! 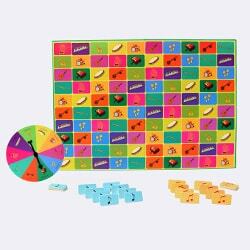 With simple craft materials, your child creates interesting musical instruments.